Showing the live videos to the visitors is one of the most important features of any website. And for this, PHP Video Streaming Script is the easiest choice to set up and run the live streaming videos on a website. The scripts also allow broadcasting live video from webcam to different site pages. That’s why to facilitate all these features we’re sharing 5 top rated PHP Video Streaming Script which provides you with a unique UI experience. These scripts support web-based interfaces for broadcasting live videos, watching any kind of live videos, chat discussions with viewers etc. Some of these products let the viewer download your video files after you’ve uploaded on your site. More advanced features like access and session duration control, tips for broadcasters can be enabled and integrated as needed, recommendation on every video etc. So, without wasting the time let’s dive into each product one by one. Along with, you can also visit PHP Vacation Rental Script blog which might be helpful for your vacation rental business. It is one of the finest movie PHP scripts which comes with advance video contents management system which manages your video website in a perfect manner. This script is perfectly fit for both movie site owners and movie lovers as it provides you live TV streaming in your site. OVOO script supports YouTube videos which can be embedded in your website in a fraction of time. Also, the script has the advanced search option so, your users will find the videos instantly in just a few clicks. It allows you to upload video from your device to a local server. Also, you can share the videos on social networking sites like Facebook, Twitter and more. You can categorize the movies on the basis of the latest, requested or featured movies. 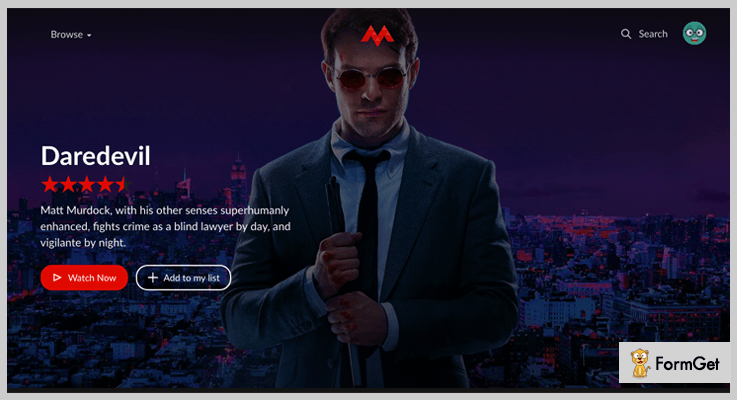 Also, you can make a separate section for TV series and place all of them on the homepage of your website with beautiful layouts. The script permits you to allow your users sign up with their emails, they can subscribe with your site and you can notify them with the latest movie updates via email. OVOO supports IMDb movie import from where you can get complete movie information in a fraction of time. In addition to this, it has a movie scraper so, you can scrap movie information by writing the title of the movie. Regular License – This plan cost you $35 with regular updates and 6 months support. Extended License – Buy this plan at $1225 where you will get advanced features, quality checked by Envato, regular updates and more. 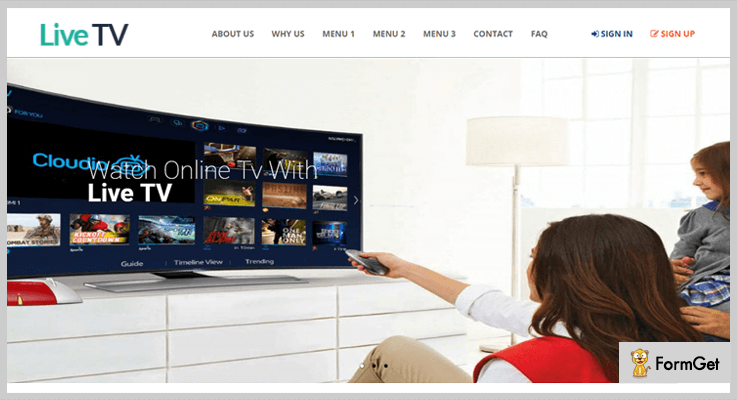 If you want to create your own online TV streaming website then this live TV streaming PHP script is made for you. With the help of this script, you can give permission to your users to subscribe with your website channels. Further, you can collect money from the users for subscription, with the help of more than 8 payment gateways which is supported by this script. You can showcase your services in the 6 column featured area present in this script. Also, it has a beautiful slider where you can display amazing full-width images. The script allows you to show the pricing plan for your service in your website homepage. You can showcase the price, features and a total number of days the subscription works in this package section. It supports email and SMS notification so, you can notify your users instantly about the latest movies, tv series etc which are streaming on your website. There is a customer testimonial section, where you can showcase your customer’s reviews and comments about your services. This video streaming PHP script is available at a reasonable price of $40 with a 6-month support and updates. Further, you can extend the support up to 12 months by paying $13.13. The extended license of this plan is available at $205 with quality checked by Envato and future updates. This video streaming script is used to make a live video uploading business website in a few minutes. It is a useful script where your visitors can view any channel by a single click. There is no need for any registration, they can view all the channels online with ease. The website owner can display all the live channels on the homepage in a well-organized manner. It is easy to install and responsive PHP script. Admin can add Google AdSense or custom ads on their website so, they will earn profit from this system. It is a highly customizable script, you can change almost everything like a logo, site title, footer, categorizes and a lot more from the admin panel itself. 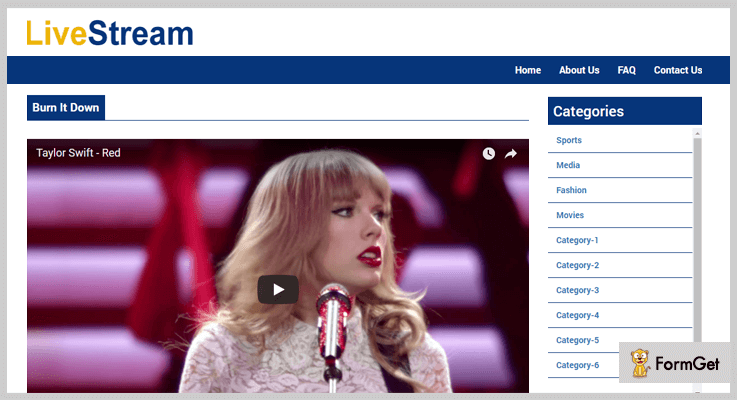 LiveStream PHP script has an inbuilt about us, contact us and FAQ page through which your users can contact you directly with ease in just a few clicks. Buy this script at $31 with 6 months support and regular updates. You can even buy the extended plan which will cost you $905 with the advanced features and quality checked by Envato. Muviko is the cheapest movie & video content management system. You can showcase unlimited videos & TV series, where your users can effectively subscribe to watch your videos. It supports JWPlayer which is a powerful, flexible and fastest video platform. You can categorize the videos in a different section and also you can create a series of different episodes and sessions. It permits you to create a video section for kids on the special area of your website, where they have access only to videos. The product has a powerful movie theme that has all the features of a movie streaming site such as Netflix, Hulu etc. and all these are free along with the script. Under each video, there is a recommendation area with videos to make aware the user where they want to go on your site. For all the above features, the product will cost you $20 only and if you want to purchase its extended plan then pay $395. VidCasterLive is one of the best facebook live video streaming tool which allows you to go live on Facebook along with pre-recorded videos and share those videos across all your pages. The product will give you the option of auto like on live videos by your other pages. It provides you a feature to set the reminder of created live events before actual live broadcasting. You no need to turn on your PC the video will run automatically. It supports clone campaign which allows you to quickly embed the script on your site. 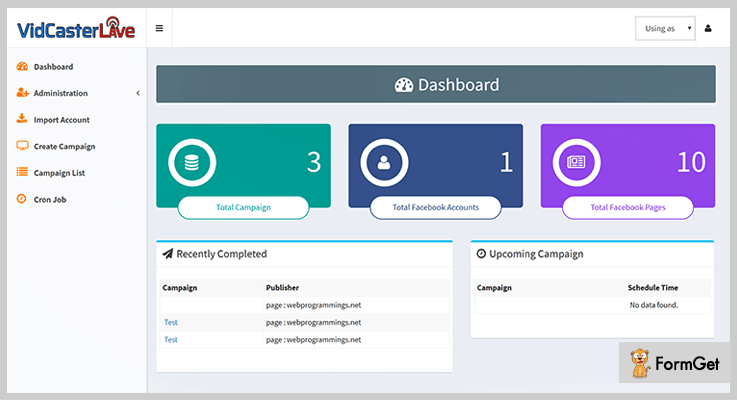 You can schedule your live streaming campaign according to your needs. $65 it will cost you for all the above-mentioned features. Whereas, if you want its more advanced features & functionalities then pay $355 only. Note: VidCasterLive PHP Script provides 7 days trial for its users. Now as you have read all about the 5 best video streaming PHP script. We hope you have understood each and every aspect of this article and found the script according to your requirement. If you have any queries or suggestions, you can ask in the comment section below. Stay tuned for more PHP scripts review.